Christopher Marrs is a Manager in the Compensation Division at VMG Health and is based in the Dallas office. He specializes in providing valuation and consulting services for service arrangements within the healthcare industry, including valuations related to quality, shared savings, management, development, billing and collection, co-management, on-call coverage, administrative work, and other services agreements. He assists clients with analyzing quality metrics as well as providing insight into ways value-based-care arrangements and strategies are implemented in the market. Mr. Marrs’ primary area of work lies in value-based care, most often related to accountable care organizations, bundled payments, clinically integrated networks, physician hospital organizations, quality performance, large co-management arrangements, and other alternative payment models. 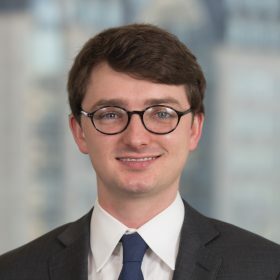 His expertise includes in-depth knowledge of fair market value challenges, market trends, and unique challenges with implementing alternative payments models.